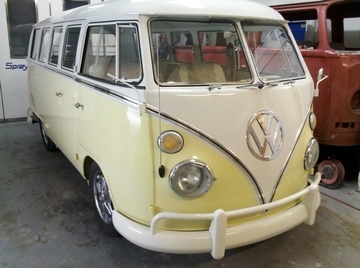 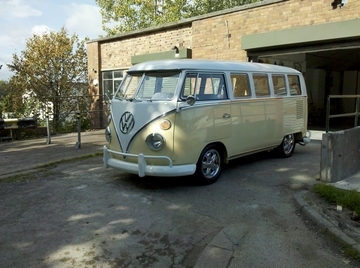 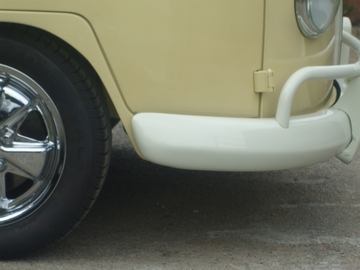 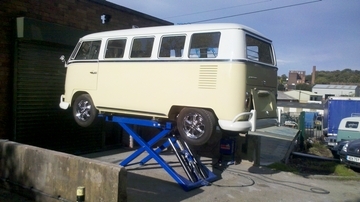 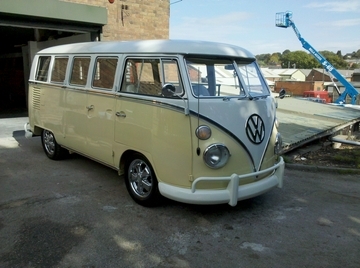 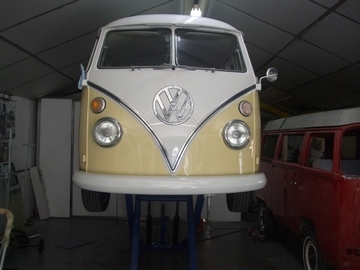 Here is Summer, a wedding hire vehcile freshly restored in the usa for Chris of http://www.timelessclassic.co.uk/. 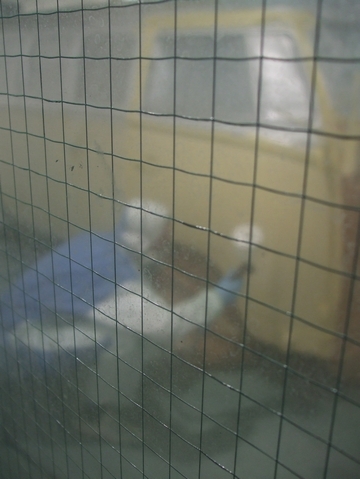 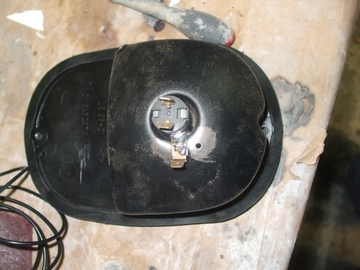 It was shipped to the uk and pretty much straight to us for rectification. 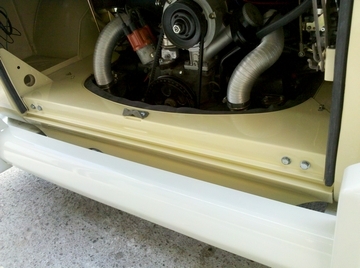 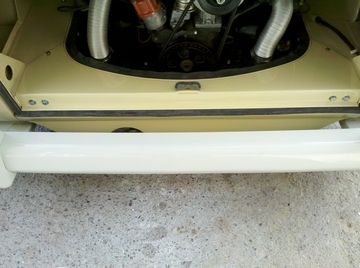 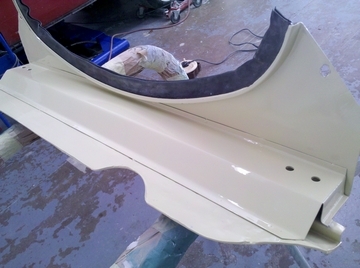 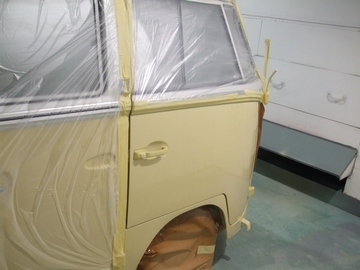 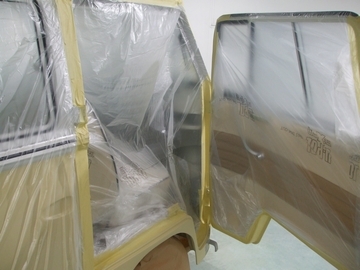 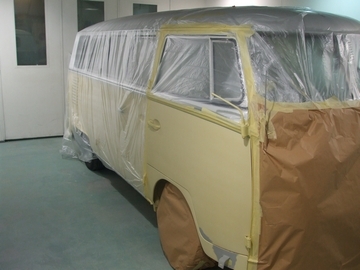 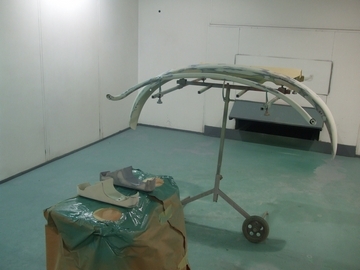 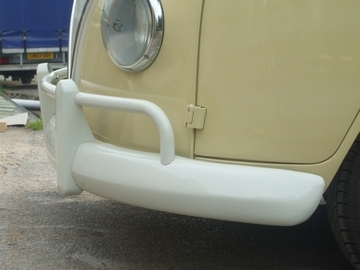 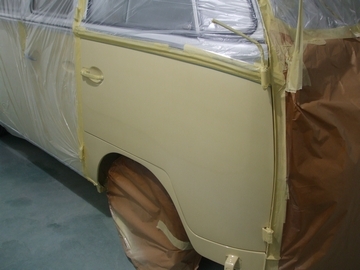 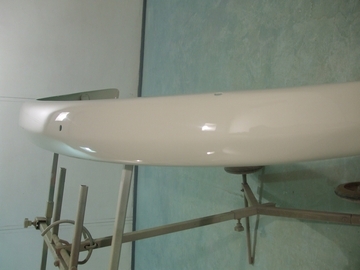 Our brief was to straighten out the front bumper and towel rail, replace overrider and Paint. 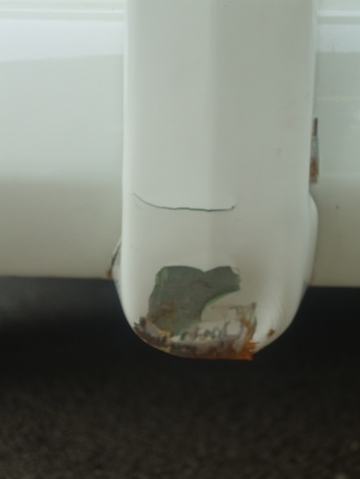 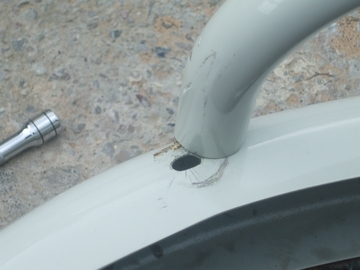 The bumper had taken quite an impact bending the bracket attached to the step, had made a scratch in the door and obstructing the o/s door from opening. 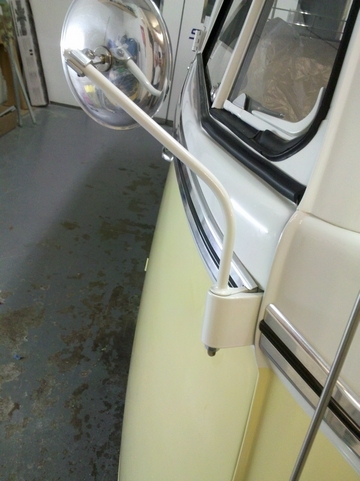 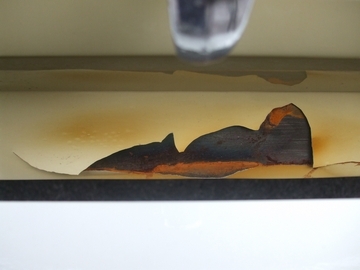 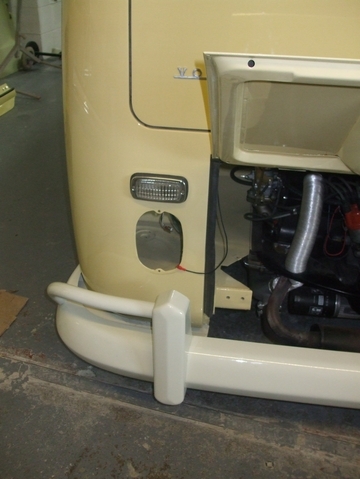 Also the O/S door hinge was built without adding the mirror stalk, as most splitty owners know these are a paint to remove so we had to use our hing pin splitter to remove it. 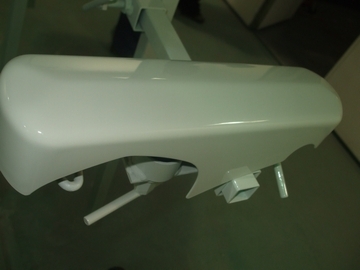 Due to the force this damaged the paint. 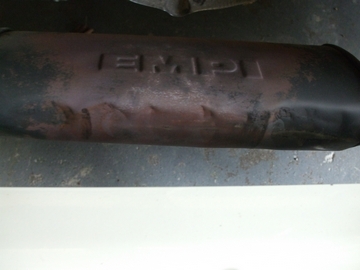 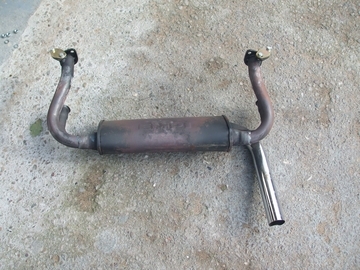 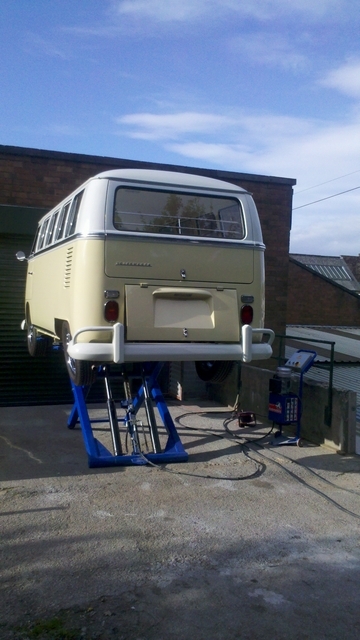 The exhaust needed replacement as it was far to close to the rear apron causing the paint to bubble and flake. 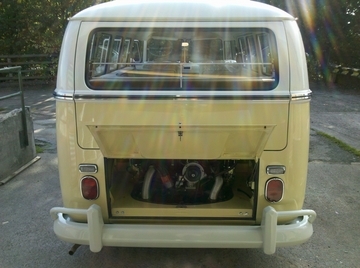 Exhaust bashed in to make apron fit, we would of liked to fit a vintage speed but as we were down to a dedline for a wedding fayre the customer opted for a stock exhaust. 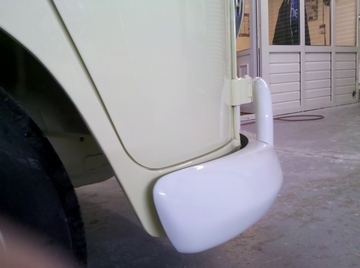 Rear light bodged and painted to look new so we replaced this unit. 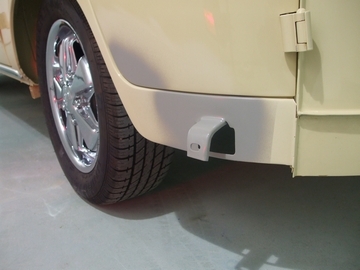 See how the belt moves !!!! 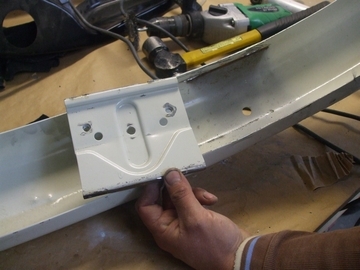 Overrider bracket removed for acess to the bumper for panel beating. 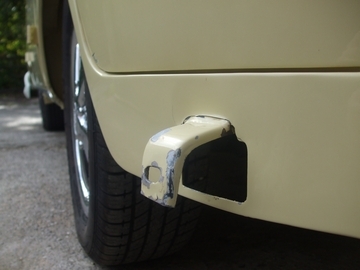 Then welded back on. 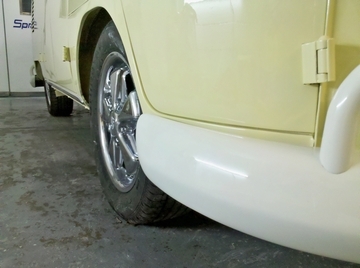 Upper white, lower yellow and bumpers as these were different than the upper colour!